Jai-Zel Smith-DeShields and his Eastern Florida State College Men's Soccer teammates defeated ASA Miami in a Region 8 Conference game at Titan Soccer Complex. With the score tied 0-0 and time winding down, Schimiliguen Castin found second-year player Smith-DeShields in front of the net and DeShields put it in the corner of the net to give Eastern Florida State a 1-0 lead. 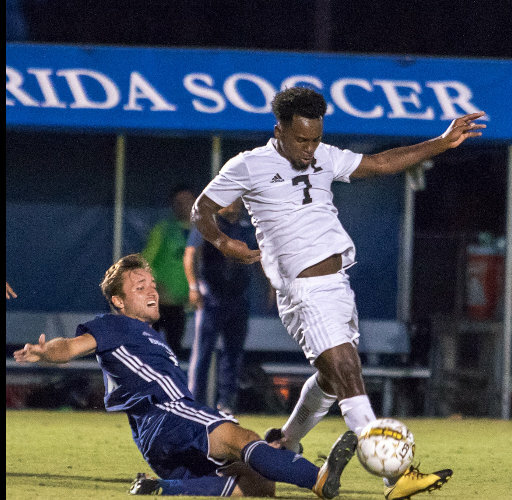 "It was a good play all the way from the back, Schimi got the ball in the box and we made eye contact and Schimi made a great cross to the back post and I was determined to get the game winner," Eastern Florida State College men's soccer player Smith-DeShields said. "It felt great to get the game-winning goal, it was a good team builder for us as we go into these final games of the regular season."